Well. 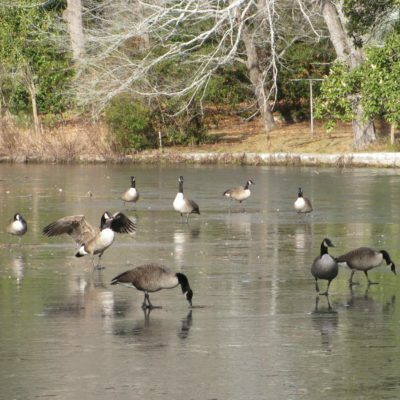 Here’s something we don’t see that often in South Carolina. 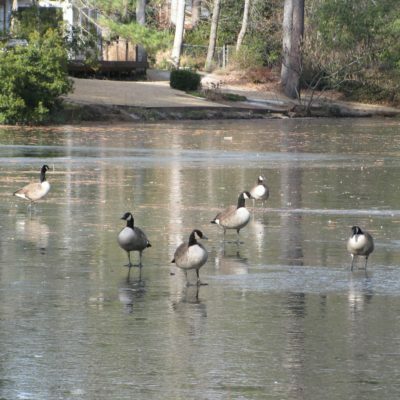 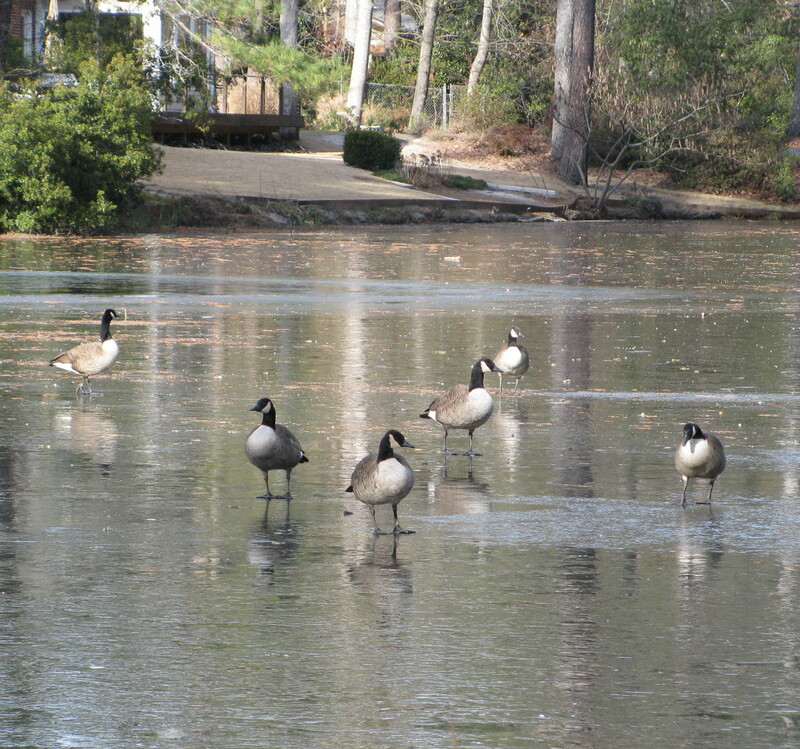 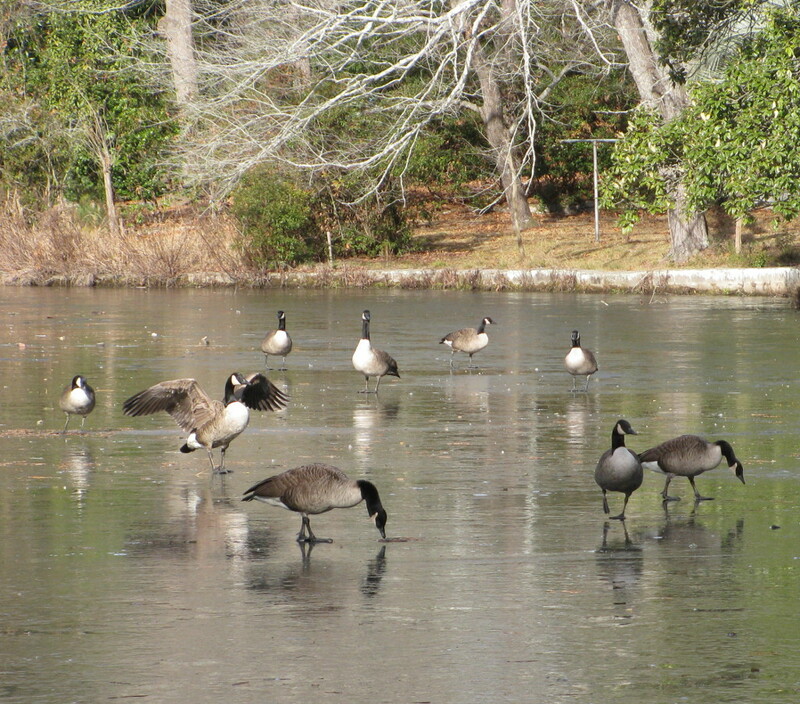 Oh, sure, we’re used to seeing geese on the neighborhood ponds. 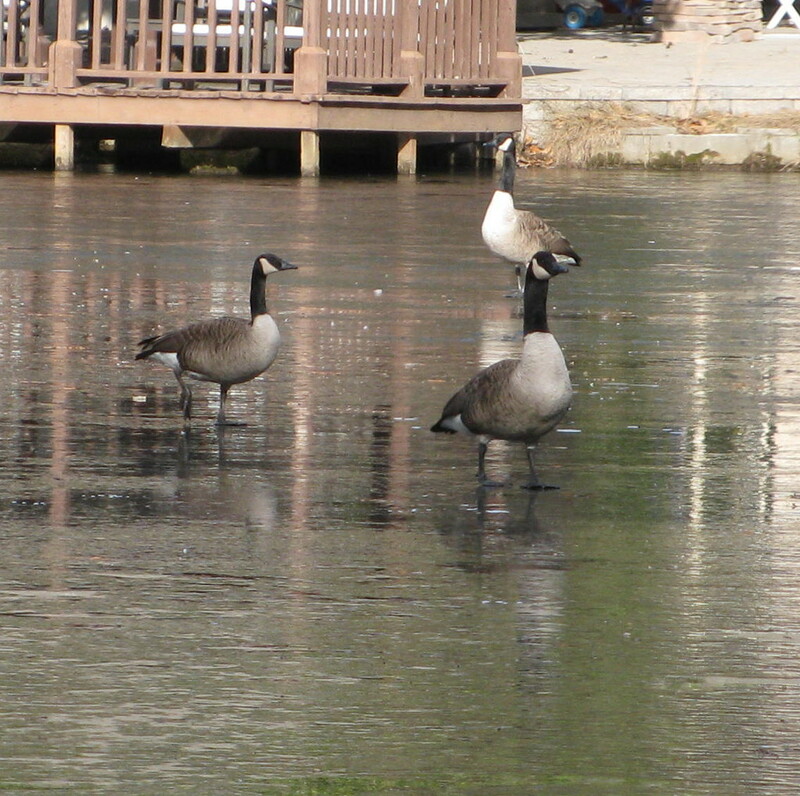 We’re just not used to seeing them standing on the neighborhood ponds.